Importing demo sites is a simple process, only thing is you need to remember to install all the plugins the layout/site uses. 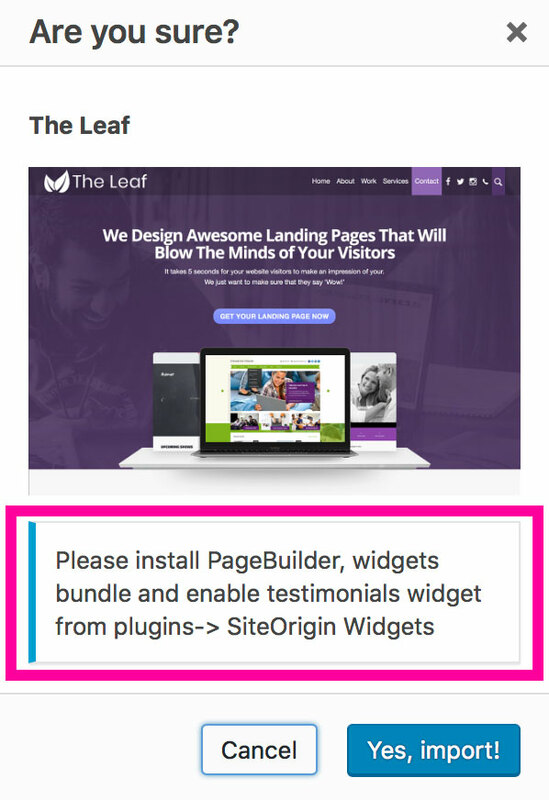 Our prebuilt sites use the siteorigins page builder plugin and their widgets bundle. Here are step by step instructions to import the prebuilt sites. It is strongly advised to use the sample child theme available in the member’s area. From appearance -> install plugins install the Demo Import plugin. 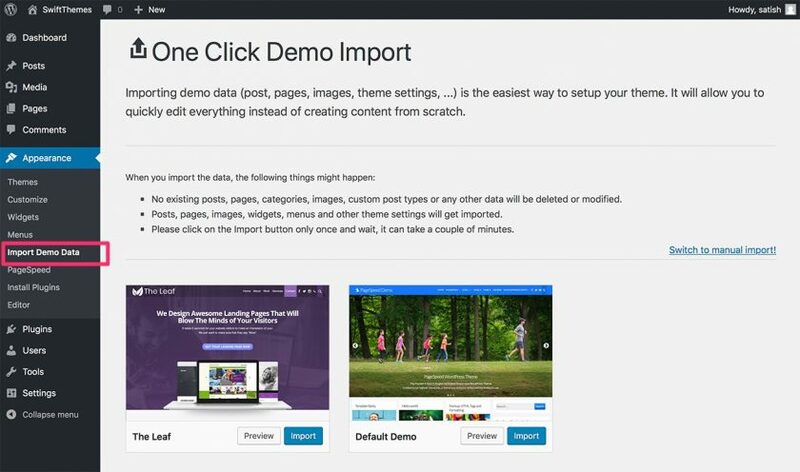 After you install it, you will have a new menu item called Import Demo Data under appearance. Click on import on the layout of your choice and make a note of plugins required, and install those plugins. After the import is done, goto appearance -> PageSpeed -> tools and clear transients.